[Updated, 3/31/15, 3:35pm ET] New York biotech entrepreneurs have been asking the same question for years: How can Manhattan ever truly foster life sciences startups and build a biotech cluster when there just isn’t enough funding to go around for biotech startups in the city, or affordable lab space to grow them? Today, the New York City Economic Development Corp. is trying to answer that question. 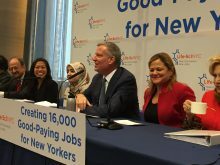 At an event this afternoon at Rockefeller University on Manhattan’s East Side, the NYCEDC, a local government entity, made announcements regarding two initiatives meant to spur life sciences startups in New York City. 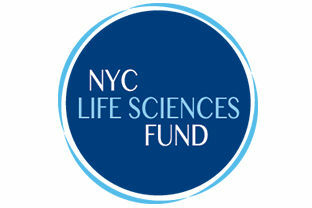 First, after a long search, the NYCEDC has found two venture backers—biotech startup creators Flagship Ventures and Arch Venture Partners—to help manage its broad plan to fund life science innovation in New York, which is now called the “City of New York Early-Stage Life Sciences Funding Initiative.” That fund, originally planned to be a $100 million pool for 15 to 20 startups, is now up to $150 million. According to a source at the event familiar with the fund who requested anonymity, Flagship will manage a $90 million piece of the fund explicitly geared towards therapeutics companies. Arch will handle the other $60 million, which is set aside for all other facets of life sciences—diagnostics, research tools, and digital life sciences, for instance. The fund aims to make its first investments within a year. The goal is to create life sciences startups that stay and grow in New York city, rather than heading off to Boston, San Francisco, or elsewhere. The details of the NYCEDC’s second effort, the “Life Sciences Infrastructure Initiative,” are less clear. That project is evidently aimed at giving New York biotech startups the chance to grow locally and solving their most pressing problem—the lack of affordable lab space. Glen only said that the NYCEDC is developing a plan to “dramatically increase the amount of commercial wet lab space for life sciences” to take care of the “acute need for competitively priced space” for both academic research and commercial R&D, without offering specifics. [Updated with info on lab space from official press release] In a statement issued Tuesday afternoon, the NYCEDC said that it plans to redevelop an “underutilized 14-story city owned building” on the lower east side of Manhattan into a “bioscience research center” with more than 100,000 square feet of new wet lab space. The agency will announce a private partner for this project “in the coming months.” A 350,000 square foot, third tower is also being built at the Alexandria Center for Life Sciences on East 29th street. The NYCEDC said it’s looking for other spots to develop labs as well. The news of VC backing has been a long time coming for the NYCEDC’s fund. The agency’s plan, first unveiled in December 2013, was to amass more than $100 million and use it to establish 15 to 20 new local startups by 2020 that would pursue new therapeutics, medical devices, diagnostics, or digital life sciences technologies. The NYCEDC joined with Celgene, Eli Lilly, and GE Ventures to invest at least $50 million to seed the fund. Then the NYCEDC conducted a VC pitch contest, looking for one or more VC firms put up the other $50 million. That’s become a two-step process: the agency looked for one type of investor to back therapeutics companies, and others for medical devices, diagnostics, digital health, genomics, and other life sciences products. Hence the NYCEDC picking two VC backers—Flagship and Arch—instead of one. The process appears to have taken longer than anticipated, and evolved along the way; the NYCEDC’s website, for instance, at one point said that the fund would make its first investments by the end of 2014. A source at the event said that the NYCEDC “reframed” and “expanded” the fund from its initial scope, citing excitement about some of the untapped commercial prospects at the city’s research centers. The news is the latest step for a New York biotech scene that has mobilized over the past few years to finally take advantage of the scientific research at its universities. Largely gone are the days that the city’s institutions were more competitive than collaborative. 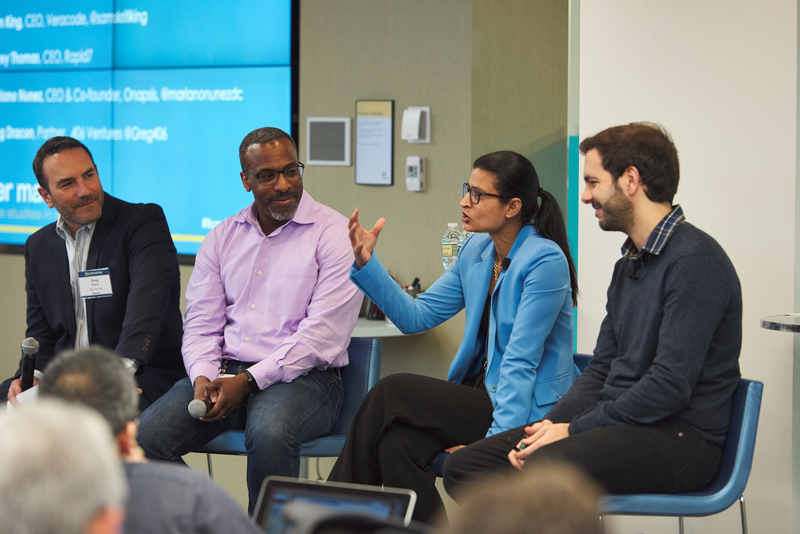 Changes in institutional leadership and more complex science problems—like, as New York Genome Center CEO Robert Darnell said at an Xconomy event recently, the daunting “scale” of genomics—have pushed New York’s many research centers to work together. The NYGC, a 12-institution collaboration, is the biggest example. But other ideas have gained traction too. New York now has two biotech incubators in Manhattan and Brooklyn. Pharma has set up Manhattan outposts for translational research. Seattle’s Accelerator Corp. opened a New York branch. Local institutions have been pooling money for either translational grants or equity in new startups. “This is now an ecosystem that has potential to change the face of healthcare across the country much as it has in the past,” said Tom Daniel, Celgene’s executive VP and president of R&D.